The history of Christianity and of virtually every denomination is a narrative of spats, splits, and schisms. Many churches and denominations were born not of an intentional tactic to reach more people, but in response to personal or doctrinal conflict. Doctrine does not have to divide, however, if a pastor will employ a few basic strategies when he encounters a difficult or controversial doctrine in the Bible. Christians will never understand doctrine apart from grasping the warp and woof of Scripture. A steady diet of exposition teaches both the metanarrative of the Bible as well as the underlying truths. Narrative passages were “written for our instruction” (Rom. 15:4; 1 Cor. 10:11) and as examples to us. They generally hold some sanctifying truth to emulate or sin to avoid, but even behaviors exhibited in the text fit within a doctrinal framework that reflects the character and will of God. Jonah 4, for instance, is fascinating and has an incredible narrative appeal. You might expect the story to conclude with chapter 3. After initially defying the Lord, Jonah undergoes God’s chastisement in the belly of a great fish, cries out for deliverance, relents, and goes to Nineveh, where he delivers a message of judgment. The people repent and turn to God. Nothing could fit Aristotle’s analysis of drama better than that: exposition, complication, climax, reversal, and denouement. Jonah is a prophet (exposition), he refuses to obey (complication), he is swallowed by a fish (climax), he cries out to God and goes to Nineveh (reversal). And as a result of his preaching the Ninevites repent (denouement). But chapter 4 is completely unexpected. It doesn’t seem to fit. Just when we think the tension is resolved, we’re taken to an unanticipated destination: the heart of God. The prophet who received God’s mercy pouts like an impetuous spoiled child because God shows mercy to the undeserving Babylonians. God exposes Jonah’s ridiculous and misplaced affections, and then exposes his own heart—naked and raw and bleeding for the people of Nineveh. If God destroyed Nineveh for their sin, even though justified, he would also destroy children and people of diminished mental capacity who “do not know their right hand from their left.” He even cares about the innocent animals (Jonah 4:11)! This unexpected turn is a “zone of turbulence,” a rhetorical device that drives home the main point by dropping something entirely unexpected and “unfitting” into the narrative. A preacher must never preach merely the event, but must make clear the event’s meaning. Jonah ends with an intimate glimpse into God’s heart of mercy and how he thinks about his creatures. The narrative is not just a good story; it’s doctrine revealed in beautiful narrative form. Only a heart like this would send his Son to die for his people. The God who spared Jonah and Nineveh did not spare his own Son (Rom. 8:32). Every time you preach a narrative, connect theological truth to the inherent attraction of a good story. Stories often raise questions like, “Why would God do that?” or “How can someone who claims to know God behave like that?” Good preachers answer those questions even as they preach a section within the larger story. Similarly, didactic passages (in the epistles, for example) reveal truths about Christ, man, salvation, and other categories of theology. Doctrinal content in this genre may be much nearer the surface and thus easier to mine, but connection to other passages and doctrines demands careful exposition and correlation. Faithful doctrinal teaching always starts with the text, not a system. If you want to avoid dissension and division in the church, always point to Scripture as the authoritative source of doctrine. As obvious as this point seems, pastors sometimes find themselves in a divisive church situation due to their loaded theological jargon. The problem isn’t so much that they teach unbiblical doctrine, but that they use extrabiblical language. The pastor’s primary task is always to show what the Word of God, and not a theological system, says. If a pastor preaches a system, relies on insider language, or employs faddish expressions, he is far more likely to create needless controversy. A congregant can pack a word full of meaning incorrectly or, at least, differently than the preacher intended—and find 100 websites that confirm his faulty understanding. Some of the members in my church, for example, come from denominations that warned them of the dangers of “once saved always saved,” since it gives license to pray the “sinner’s prayer” and then live with no regard for sanctification. While our church doesn’t hide our belief that a truly born-again person can never be unborn and ultimately lost, we also don’t believe a person can simply pray a prayer or walk an aisle and then live for the flesh with no change and expect to go to heaven. My best move as a pastor, then, is to avoid any terminology that implies something other than what I intend to teach, so I default to using strictly biblical language whenever possible. I can talk about being born again to never be unborn or rejected. I can show them in the Scripture that nothing can ever separate us from the love of God. I can point them to Paul’s confident word even to the Corinthians, despite all their disobedience, that Jesus “will sustain you to the end, guiltless in the day of our Lord” (1 Cor. 1:8). I can explain that once one becomes a new creation in Christ (2 Cor. 5:17), it’s impossible to become an old creation again. I can point to passages about perseverance in faith and holiness and deal honestly with warning passages because I don’t reduce the issue to one banal buzzword or facile phrase, but strive to say precisely what the Bible says. Even the most controversial doctrine doesn’t exist in an antiseptic quarantined ecclesiological space, but in the grit and grime of life and spiritual struggles. The pastor who preaches on Christ’s humanity and merely describes the hypostatic union and its role in church history will face yawns or, worse, divisiveness from the church’s armchair theologians. When a pastor relates theology to listeners’ lives, when he links doctrine to duty, then congregants more readily catch the teaching’s consequence and significance. Just as the writer of Hebrews relates Christ’s humanity to his faithfulness as a high priest who feels our weaknesses, so the wise pastor will always show the practical implications of doctrine. Belief always drives action. Faith inevitably leads to works. Doctrinal preaching requires application in the real world. The wise pastor will always show the practical implications of doctrine. Belief always drives action. Faith inevitably leads to works. Doctrinal preaching requires application in the real world. More than that, a pastor must make it personal in relation to Christ. All true doctrine ultimately finds its expression in the person and work of Jesus. When a pastor shows how a doctrine relates to Christ and how a proper understanding of it leads us to follow him, doctrine comes alive. Expository preaching that systematically works through books from both testaments, from multiple genres, and with a balance between law and grace, is the best steady diet for a congregation. 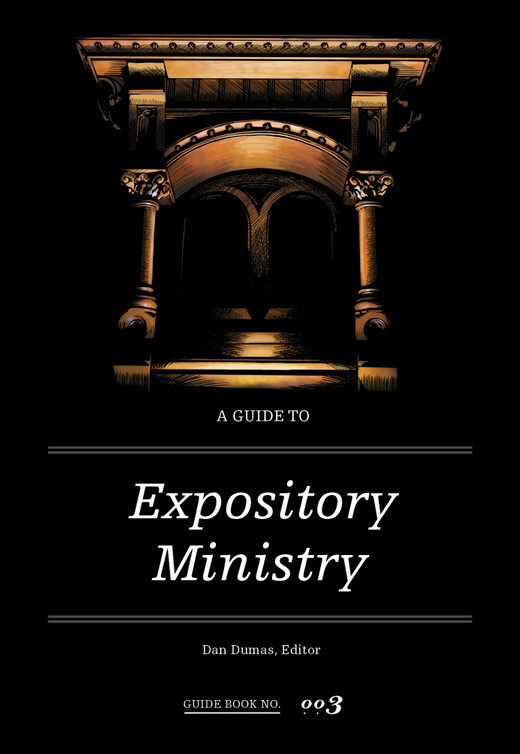 Expositional series through major sections of Scripture help both pastor and congregation to gain a strategic grasp of Scripture’s grand story. One cannot adequately appreciate the whole without a knowledge of the parts, but the inverse is equally true. The best doctrinal preaching refuses to ride hobby horses and deals with the grand sweep of God’s Word. Some churches and denominations focus on specific doctrines over and to the exclusion of others. Churches and ministries will define themselves by their obeisance to those things, tending to ignore more pronounced themes and theological movements throughout Scripture. It might be footwashing, women’s hairstyles, missions methodologies, or some other minutiae, but they nonetheless strain at gnats and swallow camels. The best doctrinal preaching refuses to ride hobby horses and deals with the grand sweep of God’s Word. Nothing should be more obvious, but 1 Corinthians 13 is for preachers too. Without love, doctrine doesn’t matter. The pastor whose knowledge has swelled his head rather than his heart will find himself without a church or, worse, with an arrogant church and a distorted gospel. I’ve had tough doctrinal conversations with members who disagree with me on certain issues. If I remind them that I have a Ph.D. in New Testament, that I know the biblical languages, that I’ve been a seminary professor for 20 years and in ministry for nearly 40, they are not impressed or moved one bit. Nor should they be. But if I lovingly thank them for taking the time to meet with me, remind them that I want to honor Christ and his Word above all, and tell them that I love them even if we don’t reach agreement, they tend to be much more open to what I teach. Even if they don’t see things my way in the end, they usually leave as friends and cherished Christian brothers and sisters. Would Jesus have it any other way? This article was originally published at TGC.